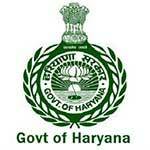 Haryana Irrigation Department Recruitment 2017 – 400 Junior Engineer Posts:- Irrigation & Water Resources Department, Haryana has published latest notification for filling up 400 posts of Junior Engineer on contract basis. Desirous & eligible candidates can apply online from 20/06/2017 to 10/07/2017. Age Limit: Between 17 to 45 years. 1. Junior Engineer (Civil) : B.Tech. in Civil Engineering/ Bachelor in Engineering (Civil Engineering) from any recognized University approved by the University Grants Commission and from All India Council for Technical Education or Associate Membership Examination of the Institute of Engineers (India) (Associate Member of the Institution of Engineering Civil). Hindi/Sanskrit up-to Matric standard or higher education. 2. Junior Engineer (Mechanical) : B.Tech. in Mechanical Engineering/ Bachelor in Engineering (Mechanical Engineering) from any recognized University approved by the University Grants Commission and from All India Council for Technical Education or Associate Membership Examination of the Institute of Engineers (India) (Associate Member of the Institution of Engineering Mechanical). Hindi/Sanskrit up-to Matric standard or higher education. 3. Junior Engineer (Electrical) : B.Tech. in Electrical Engineering/ Bachelor in Engineering (Electrical Engineering) from any recognized University approved by the University Grants Commission and from All India Council for Technical Education or Associate Membership Examination of the Institute of Engineers (India) (Associate Member of the Institution of Engineering Electrical). Hindi/Sanskrit up-to Matric standard or higher education. Starting Date of Online Application :20/06/2017. Last Date of Online Application :10/07/2017. Last Date for Payment of Fee : 12/07/2017. Application Procedure : Eligible candidates can apply online through the website http://www.hid.gov.in from 20/06/2017 to 10/07/2017. Subscribe our free job alert mail for Haryana Irrigation Department Recruitment 2017.